Location: Situated to the E of the pond near the N end of the formal garden at Erddig c200m from the house. The sundial dates from the period 1716-33 when John Meller owned the house. It is not known when it was placed in this position. The shaft has been broken and repaired. Baluster sundial on octagonal stone plinth. Octagonal brass dial and decorative brass gnomon with partially legible lettering and John Meller's coat of arms. 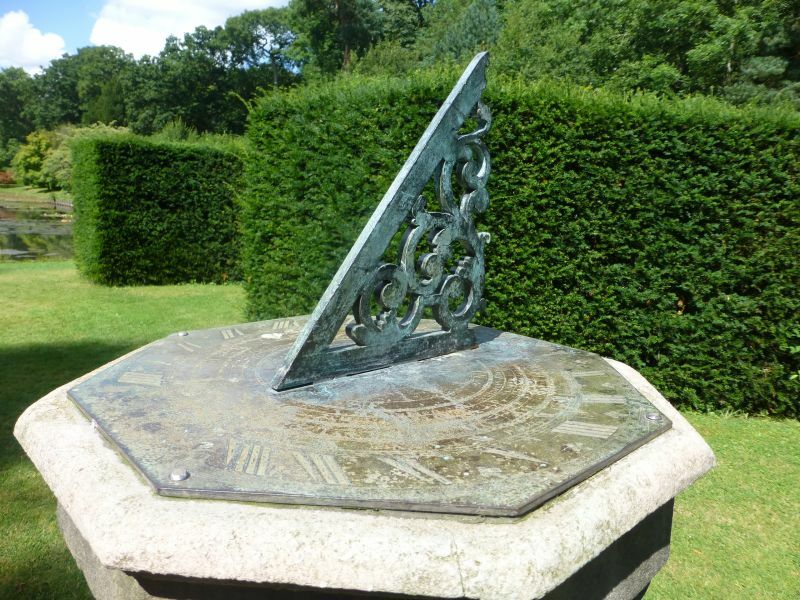 Listed as a good example of a C18 sundial and for historical associations with John Meller and Erddig. Group value with Erddig and the listed garden structures of the E front of the house. The wall runs along the N side of the formal garden to the E of Erddig and returns at right angles at the end of the garden. Situated on the main axis of the formal garden at Erddig c30m E of the house. Attached to the N end of the E side of the house and framing the parterre. Attached to the S end of the E side of the house and framing the parterre.